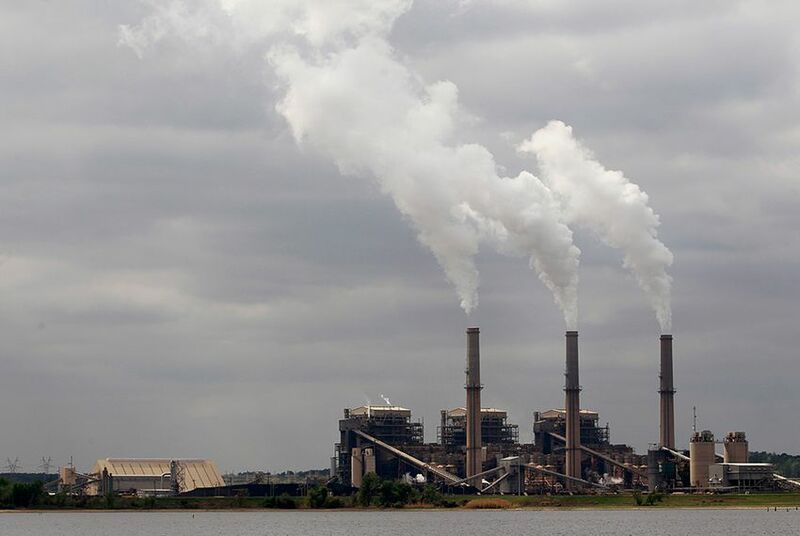 A coalition of states including Texas has defeated the Environmental Protection Agency in a battle over major regulations on mercury, acid gases and other toxic metals emissions that spew from power plants, including many plants in Texas. The U.S. Supreme Court on Monday ruled that the EPA did not properly weigh the cost of compliance for coal-fired power plants against the benefits to public health while setting the new standards. The decision sent the agency back to the drawing board on the regulations, which went into effect in April, but it did not kill the agency's effort altogether. The lawsuit was one of at least 19 of the state's challenges to EPA regulations during President Obama’s administration. Texas has now scored six clear victories in those cases, but this was its first Supreme Court triumph. Texas Attorney General Ken Paxton, meanwhile, called the ruling "a significant victory in our efforts to rein in an out-of-control EPA, which is a top priority for my administration." "The EPA’s continued failure to consider the massive costs of its draconian regulations has killed jobs, crippled our economy and increased energy prices for consumers," he said in a statement. With other states, Texas argued that the EPA didn't properly consider the $10 billion annual price tag of its regulation, which “threatens to drive a number of coal-fired electric utilities out of business.” The rules target more than 50 coal- and oil-fired power plants across Texas, and industry and labor groups challenged them. Many companies have already taken steps to comply with the standards. The EPA countered that Congress never directed the agency to consider costs the way Texas and other states think it should. And in any case, the agency argued, the benefits far outweigh the costs. The agency asserted that the new limits would have prevented up to 11,000 premature deaths per year. Mercury, a highly toxic chemical that can build up in the human body, is linked to brain abnormalities and developmental disorders. “The [mercury] rule will importantly reduce serious hazards to the public,” the American Academy of Pediatrics wrote in a legal brief supporting the EPA. “Those hazards … are particularly acute for vulnerable groups, including children who can suffer debilitating, lifelong effects” from toxic pollution. But those arguments did not sway the majority of justices. "The agency must consider cost — including, most importantly, cost of compliance — before deciding whether regulation is appropriate and necessary," Justice Antonin Scalia wrote for the majority. "It will be up to the agency to decide (as always, within the limits of reasonable interpretation) how to account for cost." Joining Scalia in the ruling were Justices John Roberts, Anthony Kennedy, Clarence Thomas and Samuel Alito. Back in 1990, Congress simply asked the agency to study the effects of mercury and other toxic air pollution from power plants, and to decide whether regulating them would be “appropriate and necessary.” President Bill Clinton's EPA decided that it was. The EPA under President George W. Bush changed its mind. And then a court challenge tossed out the Bush administration policy. What followed was the 2012 Mercury and Air Toxics Standard, which the justices considered. At the heart of the case was whether deeming regulations “appropriate and necessary” should include an aggressive consideration of costs early in the process. The states and industry said yes; the EPA said no. The D.C. Circuit Court of Appeals agreed with the agency last year, pointing out that the courts had previously said the agency doesn’t need to consider costs that way unless Congress directly tells it to. The ruling Monday reversed the appeals court's decision, returning the case to the lower court. The D.C. court can choose whether to leave the standards in place as the EPA writes new ones, or halt them during that process, said Cinnamon Carlarne, an expert on environmental and energy law at Ohio State University. The EPA says that the benefits of the mercury rule could total as much as $80 billion, which dwarfs the estimated $10 billion cost. The agency made those calculations later in its rule-making process – after it determined the mercury standards were necessary. In a dissenting opinion, Justice Elena Kagan wrote that such analysis should be enough, and called the majority's ruling "a particularly blinkered way for a court to assess the lawfulness of an agency's rulemaking." "The agency acted well within its authority in declining to consider costs at the opening bell of the regulatory process given that it would do so in every round thereafter — and given that the emissions limits finally issued would depend crucially on those accountings," she wrote. Opponents say the $80 million figure is misleading. Only $4 million to $6 million of it comes directly from reducing mercury pollution, they argue; the rest is a “co-benefit.” That’s because removing mercury from the air also removes the particulate matter it's often attached to — leading to increased health benefits. The Environmental Defense Fund, a party in the case, called the ruling a victory for big-time polluters. “Today’s unfortunate Supreme Court decision puts America’s communities and families at risk,” Vickie Patton, general counsel for the group, said in a statement. “While today’s decision is a setback, EPA has ample information to swiftly address the court’s concerns."